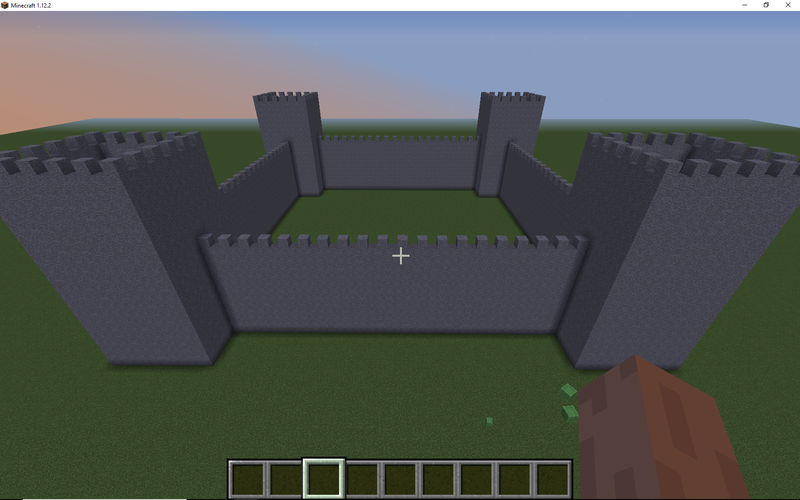 In this video tutorial you learn how to code a castle in Minecraft, using Python coding. This tutorial shows you the power and simplicity of loops, as well as the the benefit of putting your code in to functions so that you do have to code the same thing over and over again. A Windows pc with Minecraft and Forge install. See this page for how to install forge. Here is the full Minecraft Python tutorial. Make sure you watch and listen to the video as it explains quite a lot as well as just adding code! Finished the tutorial? Here are a few challenges to add to your project! Add some houses outside or inside your castle. Here is the full code below. Make sure that you watch the video, don’t just copy the code below, you will learn much much more!